Pakistan is blessed with several natural resources like minerals, coal, and especially water. Pakistan has five rivers Sindh, Ravi, Sutlej, Jhelum, Indus, and Chenab. Not only these rivers we have but we are also the owner of small subsidiaries of huge water sources that help in our irrigation along with fulfilling our drinking water necessaries. We can take a huge advantage from these existing water sources and can also produce more dams especially Kalabagh dam. Talking about construction dams, Tarbela was given preference on Kalabagh. Two reasons are described for not working on Kalabagh dam so far. One is the low cost of the Kalabagh dam. Kalabagh needs less capital to be constructed. It can be constructed with our country’s treasure and we don’t have to take a loan from the World Bank. The second reason was political trouble formed by Raja George Sikandar Zaman who was in opposition of Ayub Khan and had a high effect in Haripur, where some land was to be attained by the government. From Kalabagh reservoir, we can not only use water for power generation but water can also be utilized in irrigation the virgin lands of KPK, Balochistan, and Sindh. The site of Kalabagh is a natural dam, and it has the advantage to be constructed less time with less capital and money. 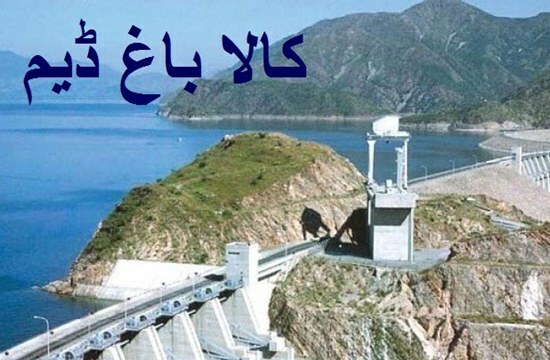 It has a great capacity to save all the water flowing from rivers Indus, Swat and Kabul. The water from these rivers goes wasted and is not for any use. We can utilize this water by making Kalabagh dam and produce electricity from it. The length of the Kalabagh Dam reservoir will be 80 km. From there the Nowshera city is 110 km away, and if the dam is full to its ends, the height of Nowshera will be 60 feet above that level. So, the story which has been outlined by a political party of KPK, that Nowshera will sink, does not have any truth to it. However, 800,000 acres of infertile land will be irrigated with the growth in the level of the river. This area is higher than river surface i.e. it has 100-150 feet high surfaced than river level. Due to this favorable advantage, this barren area can be irrigated easily by the dam. The same way, 1,000,000 acres land of Sindh also will have an advantage of irrigation from the Kalabagh dam’s reservoir. The politicians and Feudal lords of Sindh also have framed a false story for their underprivileged and illiterate people that if Kalabagh Dam is built, river Indus will be deprived of water and seawater will damage their lands because of it. This is a false story for wooing the favor and attention of poor farmers and small landowners. Because they do not want to see flourishing the small farmers, they just want to make them their slaves and rule on them. They don’t let them get an education and stand against them. Not only Kalabagh dam will irrigate the lands but it will also produce 3600 megawatts of electricity. This electricity will bring down the cost of electricity after adding in the national grid. Postponement in the building of this dam is illicit on part of the leaders, politicians, and cream of the crop because it is their greatest responsibility to take care of national interest.